Another slow reading month, thanks to my impending move and other life challenges. I read one meh book whose title I can’t remember and I read a book that will stay with me for a while: A House Without Windows by Nadia Hashimi. Set in Afghanistan, Hashimi’s book centers on a women’s prison and on one prisoner in particular: Zeba, who is awaiting trial for the murder of her husband. Like Khaled Hosseini’s A Thousand Splendid Suns, A House Without Windows focuses on the lives and challenges of women in Afghanistan—but that is where the similarity ends. Hosseini’s book was stark, dark, and violent. Looking back, I can see clearly that—even though it’s about two women—it was told through the male gaze. A House Without Windows, on the other hand, is a story of women told by a woman. It doesn’t grab and shake you. It lulls you in, tells a wInding tale, at times seems to lead down the garden path, until it reaches a satisfying conclusion. It’s not a perfect book—there was one plot twist in particular that seemed too pat, too coincidental—but it was an engaging, effective mystery and a welcome glimpse into a country that seems to have been largely forgotten by the media and general public. I'm not a big reader of fantasy. When I do read it, my tastes run toward the low-brow. The more snark and sarcasm, the better. (Dresden Files, about a wizard whose chief powers are sarcasm and finding trouble, is a favorite.) This month's book choice--Stiletto by Daniel O'Malley--fits that bill to a T.
Stiletto is a sequel and truly, it's best to read the first book before picking up this one. I was introduced to the first book, The Rook, via a short-lived virtual book club. I giggled my way through it. It was snarky and sarcastic and ridiculous and outrageous. Stiletto was the same. Maybe even more ridiculous and outrageous, if that's possible. If you like books grounded in reality, this is probably not a series for you. (Reality is a very distant, perhaps long-lost, cousin to the events in these books.) Also worth noting: the humor in both books is very dry (not surprising, given that the author is Australian and the books are set in Great Britain). Dry humor is absolutely my cup of tea, but it's not for everyone. At the center of the series is a secret British organization called the Checquy. The Checquy is basically a supernatural police force. Its members have supernatural powers, and it is responsible for managing any supernatural occurrences on British soil. The Rook focuses on a Checquy officer named Myfanwy (rhymes with Tiffany) Thomas. Thomas also plays a key role in Stiletto, but Stiletto's focus is on a lower-level Checquy operative and a young woman whose loyalties are not entirely clear. Both books are long. (Stiletto clocks in at 580 pages.) But they are light reads. There is plenty of action and humor to keep the pages turning. 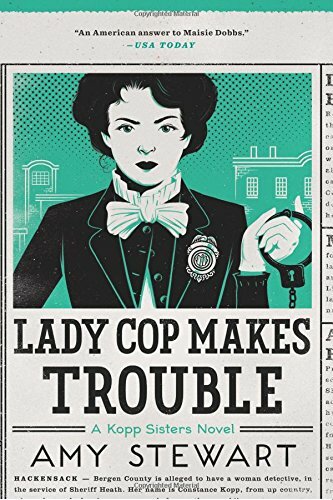 I don't know if O'Malley has another book planned for this series, but I hope so. I could use another book that gives me the giggles. Eowyn Ivey is becoming one of my favorite writers. I was swept away by her novel The Snow Child and her latest, To the Bright Edge of the World, was equally transporting. Alaska is the center of these stories--its landscape, climate, and ruggedness as much a character in the stories as the people. And both books have dashes of magic and unexplained mysteries, which add color and dimension to the stories. They are, I think, fine examples of magical realism. 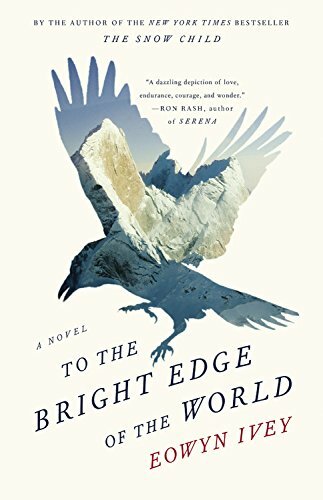 To the Bright Edge of the World actually tells three stories: two historical and one modern. All three stories revolve around an 1885 expedition into the Alaskan wilderness, and all are told through diary entries and letters written by the explorer leading the expedition, the wife he left behind, one of the members of the expedition, the explorer's descendant, and the curator of the Alaskan museum who receives the explorer's papers. It sounds like a vast cast of characters--and it is--but they are well described and easy to keep straight. It did take me a while to find the book's rhythm, though, to become accustomed to the jumping back and forth among the story lines. My biggest struggle was with the two historical story lines, which occur a few months apart but are told as if they are parallel. Once I found that rhythm, however, I got lost in the story. When I was reading, I literally forgot where I was and what time it was. I found the historical story lines more captivating: the explorer trying to navigate and understand the strange land in which found himself and his wife, trying to navigate being an independent woman in a time and place where such initiative was actively discouraged. The edition I read included photographs, many of Alaska in the nineteenth century and others that related to the story. They were just as fascinating as the text. While the book was inspired by a real-life Alaskan expedition, Ivey is clearly telling her own story here--one that is engaging and captivating. It held my attention for all of its 400+ pages, and it was worth every stolen moment I took to read it. If you like mysteries, I cannot recommend Ausma Zehanat Khan's Esa Khattak series enough. It's a new series--the third book just came out--but it's become a favorite. Khattak is a detective with Toronto's Community Policing division, tasked with liaising with the Muslim community and solving crimes connected to that community. He's a quiet, somewhat brooding hero, a man trying to balance his Muslim faith and the demands of his job. 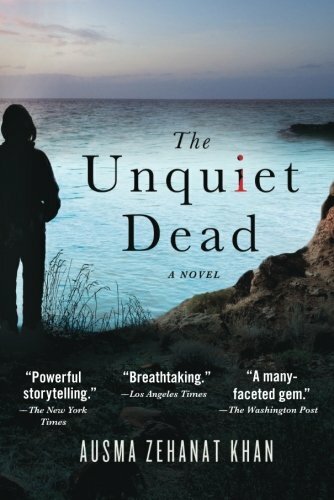 The first book, The Unquiet Dead, centers on the Bosnian war. The second, The Language of Secrets, has Khattak racing to stop a homegrown terrorist attack. I had originally borrowed Unquiet Dead from the library but bought a copy for myself before I was halfway through. Now I've cleared a space on my shelves for the series as it grows. Note: Clicking on a book's cover will take you to the book's Amazon page.